Mix wheat flour and chilled butter, chopped in small pieces. Add sugar, salt and one egg yolk. Knead all well. And put dough in fridge for 30 min. Roll dough and put in form, making sides. Pierce bottom with fork and bake for 15 min. 1. 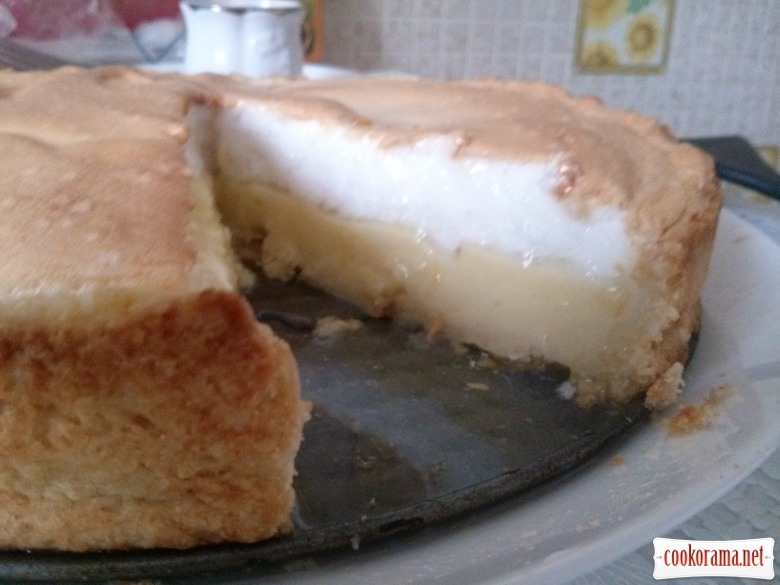 Mix starch with lemon juice. 2. Pour in saucepan milk and water, heat a bit and add there mixture of lemon juice with starch. Boil till thickening. 3. Add in resulting mixture lemon peel, sugar and yolk. Stir all well. Add butter at the end. Once cream cools, spread on cooled dough. 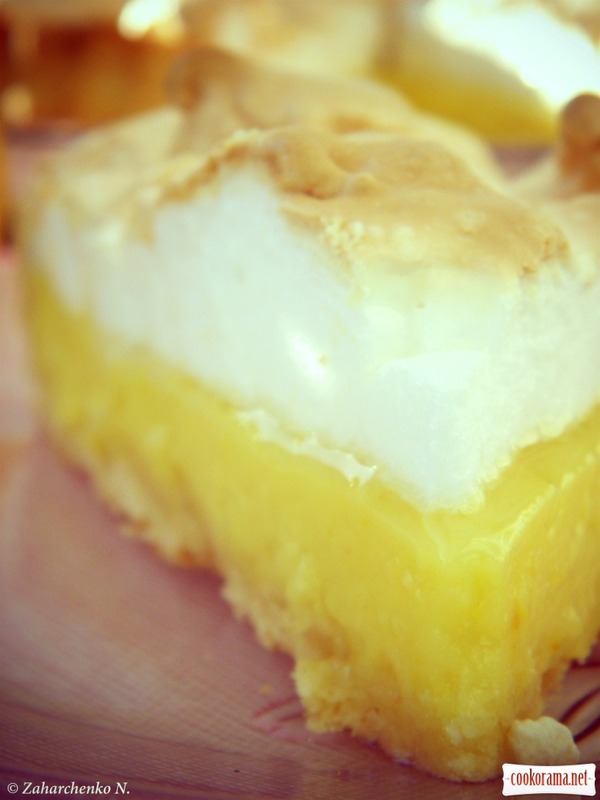 Gently mix egg whites into soft foam. Continue mixing, gradually pour small portions of sugar, till whites create thick foam. 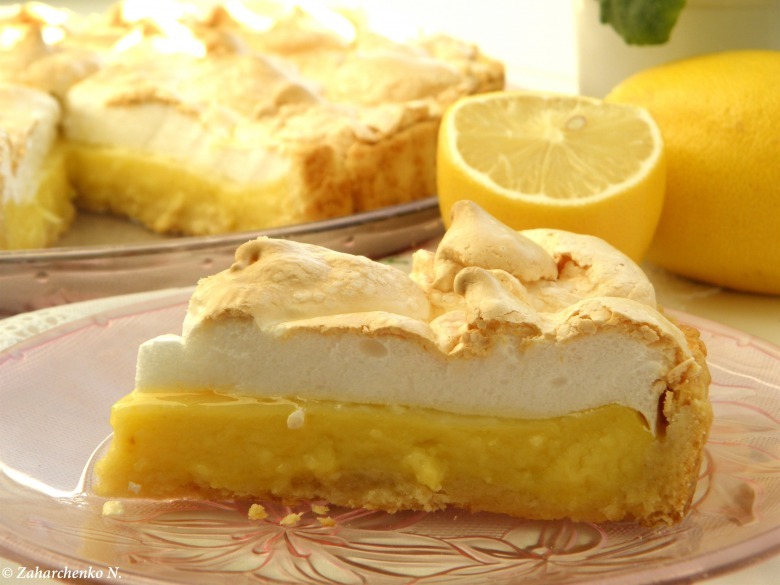 Spread meringue on top of lemon stuffing with spoon or using pastry bag with a figured nozzle. 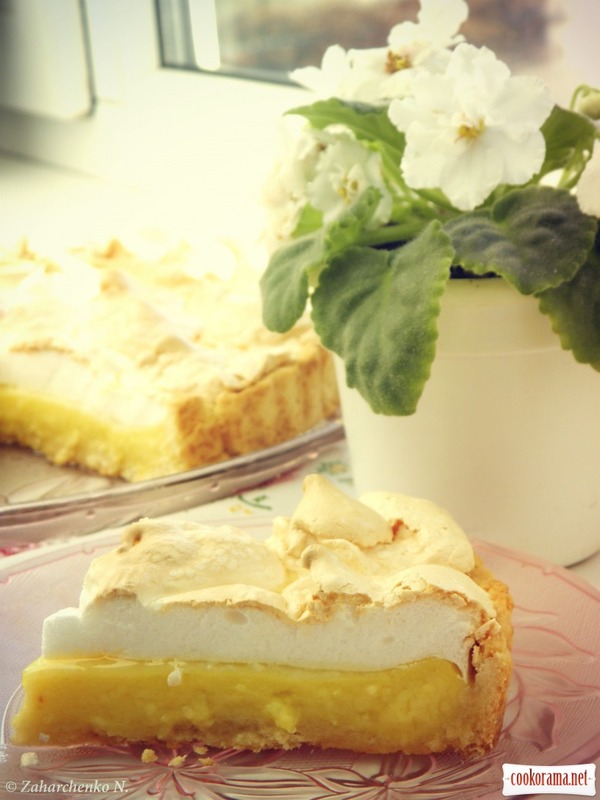 Be sure that meringue touches with walls of basis. 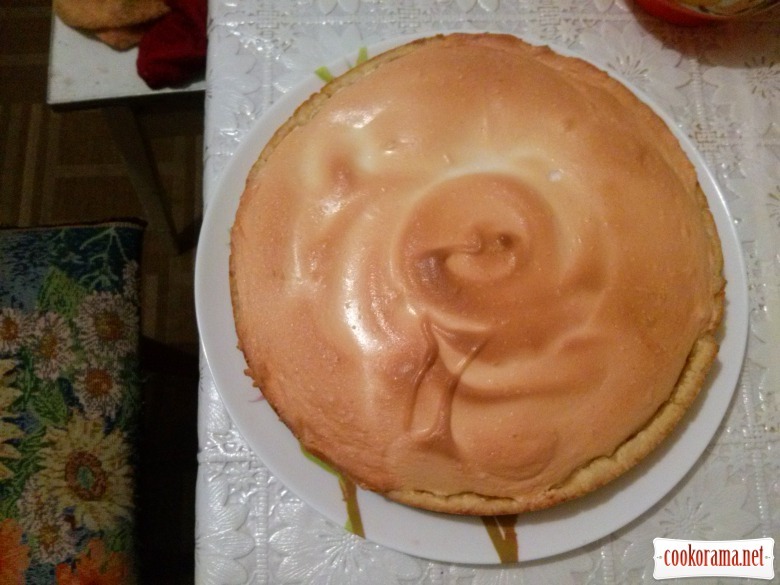 Put the cake in preheated oven and bake for 25 minutes until the top of meringue starts to toast lightly. 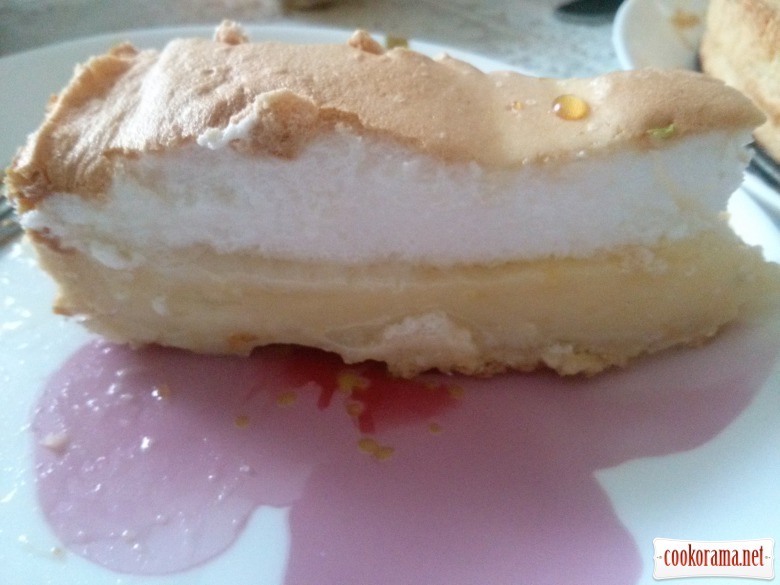 Remove cake from oven, cool to room temperature, then refrigerate for 2 hours. 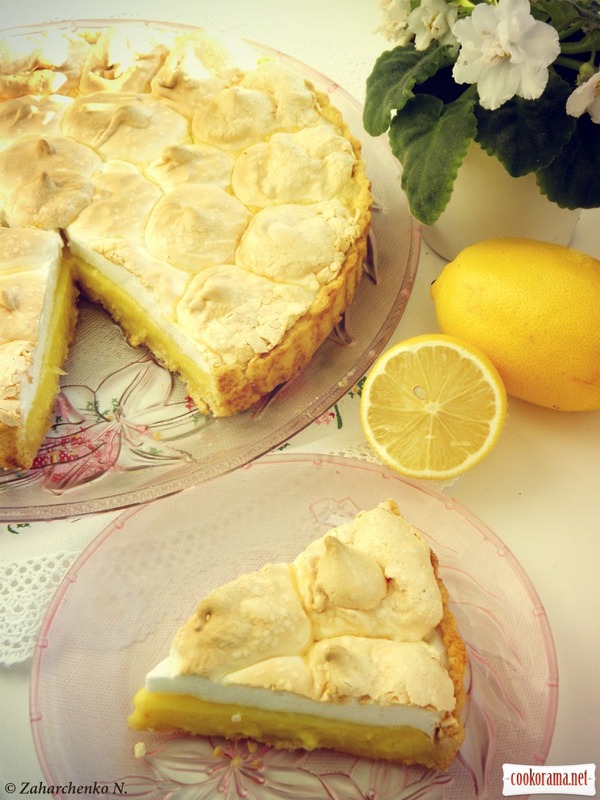 Top of recipe "Lemon tart with meringue"